If you’re looking for shutters in the Durham, Chapel Hill and Raleigh, NC area, there are lots of places you can go to and options you can choose from. Whether you are looking for interior shutters, exterior shutters or something more specific like custom exterior shutters, you have a wide selection of places you can choose from. But if you want to know where to buy window shutters to get the best service, quality, and price, call All About Blinds & Shutters at 919-544-6092 today. Your choice of shutters depends entirely on the style you are going for as well as the type of functionality you need for your home. If you are looking for shutters that will protect your home from unruly weather conditions, you’re likely going to be in the market for wood shutters, whereas if you are looking for something more related to home decor, you may want to go for something more aesthetic. Whatever your shutter preferences are, Durham, Chapel Hill and Raleigh have all your shutter needs, even if you are the pickiest of homeowners. External window shutters come in two types: protective and decorative. Protective window shutters are installed on the outside (exterior) of your home and provide it with protection against the elements and bad weather conditions. Protective shutters are installed and attached to homes on hinges and can close over windows. 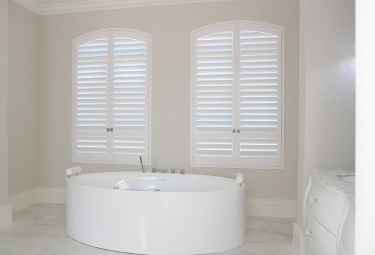 Decorative shutters, on the other hand, are installed for decorative purposes and add to the aesthetic of your home. Exterior shutters for windows can come in a wide range of materials, including plastic, steel, vinyl, wood and more. 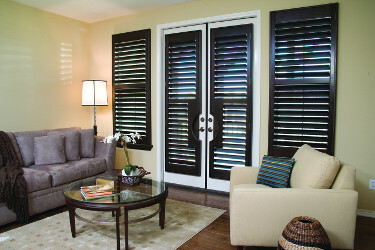 You can even install your own custom exterior shutters which add to the appeal of your home. Exterior vinyl shutters and exterior wood shutters are two extremely popular types of shutters homeowners install on the exterior of their homes. Though both are pleasing to the eye, they each serve two very different purposes and carry two very different looks. Exterior Wood shutters significantly improve the appearance of your home. They can make your home look much more appealing and add a traditional, rustic look to your windows. Wood shutters also offer your home great protection. If you live in an area which tends to have bad weather, you can close wood shutters over your windows in in extreme storms, protecting your windows and home from wind and any other elemental damage. Wood shutters also require little maintenance. To clean and maintain wood shutters, all that you really need is water, soap and in some cases a hose. Wood exterior shutters are typically sold unfinished, which means you will likely have to paint them yourself. If you’re a do-it-yourself type of person, this might add to the intrigue of wood shutters. Vinyl shutters — although not as appealing as wood shutters — are the cheaper option when it comes to external window shutters, so if you’re on a budget you may want to choose vinyl shutters over wood shutters. 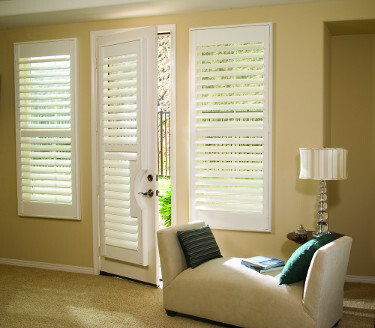 Vinyl shutters have a plastic-like appearance because they are made of synthetic material. They do not have hinges and are installed on the exterior of your home solely for decorative purposes. 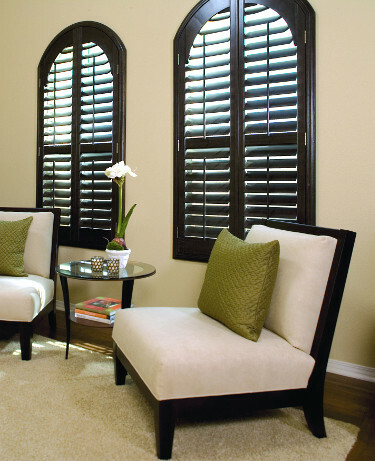 Vinyl shutters are easy to install, are long-lasting and durable, and are much cheaper than wood shutters. They also do not require much maintenance at all. If you’re looking for protection, though, vinyl is not the way to go. Interior shutters are not used for exterior decorative purposes but are rather used for security, privacy, and decor inside your home. An added benefit tof interior shutters is that they give you control over how much sunlight you would like to fill a room. Internal shutters are usually made of plastic or wood composite and can either open or close on hinges, although some do have horizontal slats which you can control. Internal window shutters are different from window blinds and shades in that they are more expensive but add personality and value to your home. While blinds and window shades do the same job that interior shutters do, interior shutters have a more traditional and aesthetic appeal that certain homeowners are drawn to. At the end of the day, it all depends on your style, budget and the overall aesthetic appeal of your home. 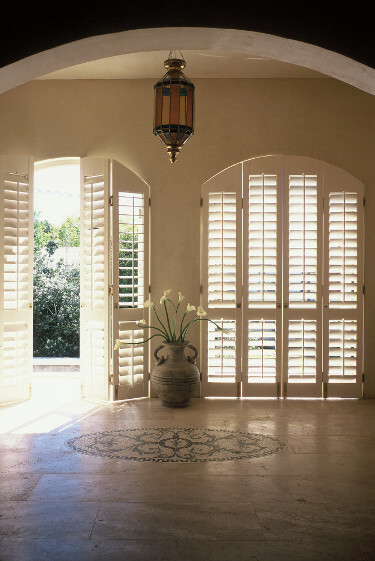 Two popular types of interior shutters are French shutters and white window shutters. 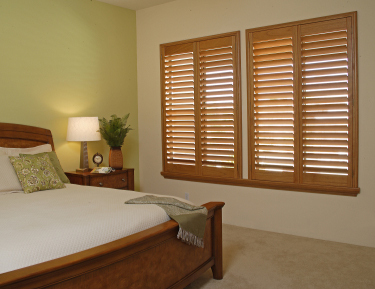 French shutters have horizontal slats which allow you to easily control privacy and light. They look beautiful in any home and are a great touch. If you are looking for something more simple or modern, you can opt for white window shutters, which are plain white. The type of shutters you decide to install in or on your home depends entirely on what type of functionality or style you are looking for. If you are looking to add to the decor of the exterior of your home, you may want to consider exterior shutters. If you live somewhere that is prone to bad weather, you may want to invest in wood shutters which can offer your home protection from extreme weather and the elements. If you are on a budget and are not looking for any type of protection for the outside of your home, you may want to opt for vinyl shutters. If you’re in the market for internal window shutters you have many options to choose from as well, and there is a local dealer who can guide you in the right direction. You can choose from all sorts of different shutter styles including horizontal French shutters and simple white window shutters, but at the end of the day it is up to you. Window shutters — both internal and external, add a sort of allure and charm to your home which window blinds and shades simply cannot match. Any interior decorator can tell you that window shutters are unique and a great added bonus if you are looking at remodeling or enhancing your home. If you’re in the market for window shutters and want to know where to buy window shutters, call All About Blinds & Shutters for the best knowledge and service. All About Blinds & Shutters serves all of the Durham, Chapel Hill, Raleigh, NC and surrounding communities. Call 919-544-6092 for all your window shutter needs!